Our integrated suite of EMS solutions cover the scope of your EMS operations – from dispatch to discharge. Realize the maximum return on investment (ROI) for your equipment so you can focus on providing the highest-quality of care to your community. Decrease response time and improve patient outcomes. Unify your patient care documentation and management. Maintain a strong financial foundation and get paid more per claim. Leverage our cardiac monitors, AEDs, portable ventilators and CPR adjuncts. 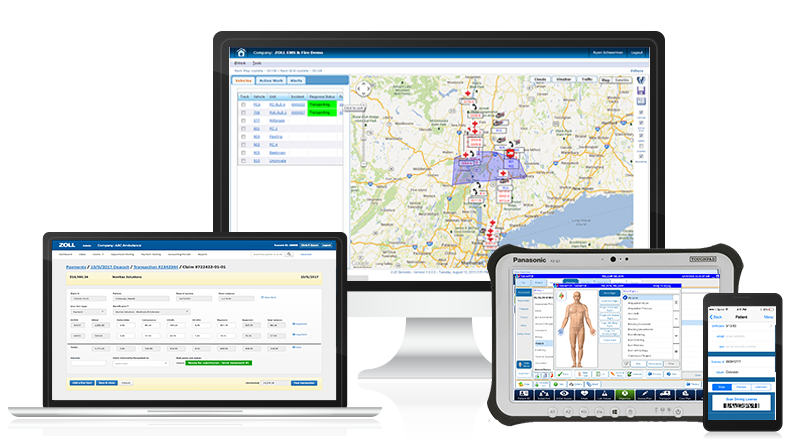 With our integrated EMS solutions, call data flows seamlessly from dispatch, to patient care and over to EMS billers instantly – delivering accuracy and efficiency that results in higher reimbursements. Leverage patient care documentation software that guides medics through the proper data collection process by alerting them to any missing data before the report is closed. Take the guesswork out of managing both personnel and financial resources so you can improve your bottom line and deliver high-quality services to your community. Maximize your EMS agency's ROI.